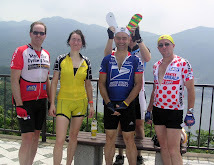 So far, David, James, Ludwig and me will attend the Ekiden ride on January 2nd. The meeting point is close to the Tamagawa at the Family Mart at the cossing road 15 and road 409 in Kawasaki [see Google map below] at 8.30 AM. David suggested to do the first ride of the new year on January 2nd from Tokyo to Hakone. As the Ekiden is hold on this day, the roads are sealed off and one can go on the bike in front of the field almost without traffic from Tokyo to Hakone - a once a year opportunity. I could convince my family to go to an onsen in Hakone the same day already, so I would be very much interested to do this ride, but the details, where to start, how to go etc. should be clarified with David. It would be nice to have a larger group of Positivo Espresso Riders together for this trip. Please let me know if you would be available. I would like to join in an Ekiden ride if it is possible.. The Ekiden starts at 8AM on Jan 2 from just North of Tokyo Station. They run at approximately 20 kph and stay on Rte 1 the entire distance, so we could start on Rte 1 at Shinagawa a few minutes after 8AM, or at the crossing over the Tamagawa (from Tokyo into Kanagawa/Kawasaki) at around 8:30AM. (I will do the second, so I can ride down the river from my house). We could meet others along the route who don't want to double back to the Tamagawa. We may want to stop for a decent rest en route to let the race catch up a bit ... but inevitably we will get further and further ahead. At least we should get a good bit of the way through Kanagawa with no traffic. We can take a train back from Odawara, or ride up the hill to Ashinoko and then find another way down the hill (avoiding the race), depending on how cold it is. ... my dad, Mike Litt, logged into this PC to check his email, so I left my earlier comment on the Ekiden ride under "Mike" and his email instead of mine. Apologies for any confusion. David L.
Here is the website that shows the times for Tokyo and Kanagawa traffic restrictions ... we want to be ahead of these. Thanks for all the information David/Mike. So shall we meet at 8.30hr on the Kanagawa side of the route #1 bridge around here? I will cycle up from Yokohama. So far we are three (David, James and me) Tom and Jerome have already declined. Perhaps we can find more riders (Ludwig?)? I suggest to go all the way up to the top of Hakone. This is not an easy climb but normally the road is very crowded so this is a good chance. If you want to avoid the traffic back, there are two choices which I did numerous times: Route 20 from Hakone to Atami, or continue on road 1 to Mishima. Then hop on the Shinkansen back to Tokyo. Both roads are OK, however route 20 is by far better with much less traffic. I went there to Shimoda in August and this one was one of the best roads ever. Sounds like a great idea and I'm interested in joining from the Tamagawa bridge. I'm wondering though - will this really work? Will we be really allowed to ride the closed off roads? I unwittingly did just that when exploring Saiko a week ahead of the race this year when there was a runners relay race going on and I didn't notice I was entering a road off-limit to cars. But does this always work? And won't we be just far too fast to stay within the window? Even with breaks, cycling at just 20 km/h is no fun on fast bikes (it's OK on the Peugeot I had to do with in Germany). I wondered the same thing the first time I did it. 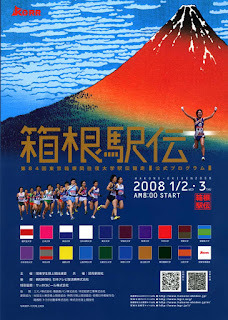 If all goes will, Thursday (Jan 2) will be my third "ekiden ride". Yes, we will eventually out-ride the closed roads and even if we take a good long (15-20 minute) break somewhere we will be with traffic the last 1/3 of the way to Odawara. No, we should not have a problem getting onto the closed road as long as we have a decent start ahead of the runners, and we should see all the pageantry set up -- lots of banners and flags, crowds ready to cheer, fixed location TV cameras in the changeover areas, etc. See you at the Rte 1/Dai-ni Keihin bridge over the Tamagawa (Kawasaki-side of the bridge) at 8:30AM. I got in a nice quick ride this AM, going up river with Chris Duffy, Bryon Gibbons and Jerome, and back alone (Chris and Bryon turned back at Sekidobashi, I went to the end of the path 3 km further, Jerome continued for an all day ride). I may get out on the 31st for a longer ride???? From the traffic control maps, it looks as though the relay does NOT stay on Rte 1 (Dai-ni Keihin) as they approach the Tamagawa. Rather, in that area they are on Rte 15 (Dai-ichi Keihin) which is 1-2 km closer to the bay, just past the Keihin-Kyuko train tracks. It looks like they rejoin Rte 1 somewhere past Tsurumi. (I've always joined the route somewhere between Tsurumi and Yokohama.) So let's meet at the first intersection on the Kawasaki side of the bridge over the Tamagawa on Dai-ichi Keihin/Rte 15 -- Rokugo Bridge. Where Rte 15 crosses Rte 409, just across from the Kawasaki Keibajo - horse race track? Longer ride on the 31st??? Count me in! Guys I wrote an update, please have a look: New meeting point. 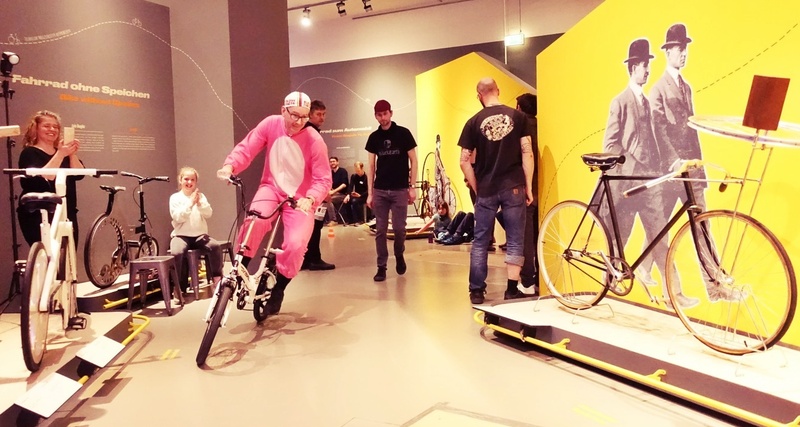 Anyone cycling on the Emperor's Birthday?